Julian Harrap is an English architect that started Julian Harrap Architects in the early 1970’s. JHA is a distinguished medium-sized practice offering a full range of specialist architectural services for the repair and restoration of historic buildings, estates and landscapes and for the design of extensions and new buildings in historic settings. 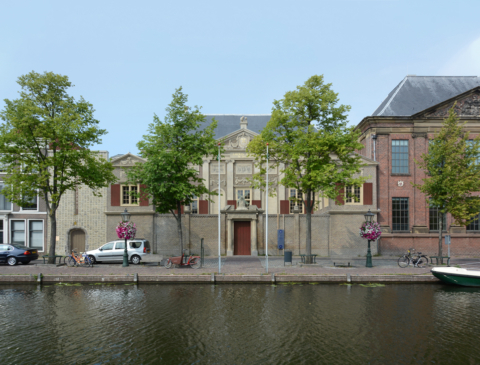 Known for its restoration of the Neues Museum in Berlin in collaboration with David Chipperfield, the Sir John Soane’s Museum in London and our collaboration for Museum de Lakenhal in Leiden. The Practice has a team of experienced architects who promote the philosophy of the Practice and share an extensive body of knowledge. JHA is well known for the consistency of their approach and the meticulous attention to detail. Historic buildings work is not simply seen an archaeological exercise but rather the re-presentation of architecture from earlier generations, encompassing the beautiful accretions of time in a way that is valid to its present day uses. In which their approach both respects the work of others and their own contribution of elements or buildings of a contemporary character. Happel Cornelisse Verhoeven collaborates with Julian Harrap on the restoration and extension of Museum De Lakenhal in Leiden and Opera Gent.